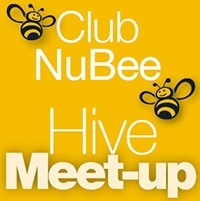 Join the hive at the Club NuBee orientation: Network with fellow conference attendees, participate in prize raffles, meet this year's Hive Hosts! Are you a NuBee coming to join our hive of activity at the AME San Diego 2018 conference? Attend one of our famous Club NuBee Orientation evenings offered on Sunday and Monday, where you will get helpful advice on how to make the most of your conference experience. Bee sure to sign up early for our numerous networking activities where you will have a chance to get engaged in San Diego. Follow #AMESanDiego on Twitter before and during the conference for the latest in Club NuBee activities. If you're new to our conference, don't miss the Club NuBee orientation. Follow the Bee! !